An inter-ministerial central team will carry out an on-the-spot assessment of the damages caused by recent floods and landslides in Nagaland from September 4 to 7, Nagaland State Disaster Management Authority (NSDMA) secretary Rovilatuo Mor said in a release on Saturday. The team will be headed by joint secretary, ministry of home affairs, K.B. Singh. The release said the NSDMA along with district disaster management authorities and officials from all the line departments will take the team to the worst affected areas for assessment of the monsoon damage. On Thursday, Union home minister Rajnath Singh said the National Disaster Response Force (NDRF) teams are being rushed to Nagaland to assist with relief works arising out of the floods in Nagaland. “Spoke to Nagaland Chief Minister Shri @Neiphiu_Rio regarding the situation arising due to floods and landslides in several places of the State. NDRF teams are being rushed to the state by the MHA to carry out rescue and relief operations,” Singh tweeted. Rio at a review meeting of relief and rehabilitation work in Kiphire on Thursday said the Union home minister had called him to enquire about the situation in Nagaland, which shows that the Centre is deeply concerned about Kiphire district in particular and the Nagas in general. According reports, 1,500 bags of rice were delivered in Kiphire, the worst-affected district in the recent floods and landslides in the state, on Friday evening. It took more than 24 hours for seven trucks to carry the rice from Dimapur to Kiphire, a distance of 265 kms. Kiphire district, bordering Myanmar, was cut off from the rest of the state after heavy rainfall on July 26 and 27 had damaged 300 metres of an arterial road in adjoining Phek district. 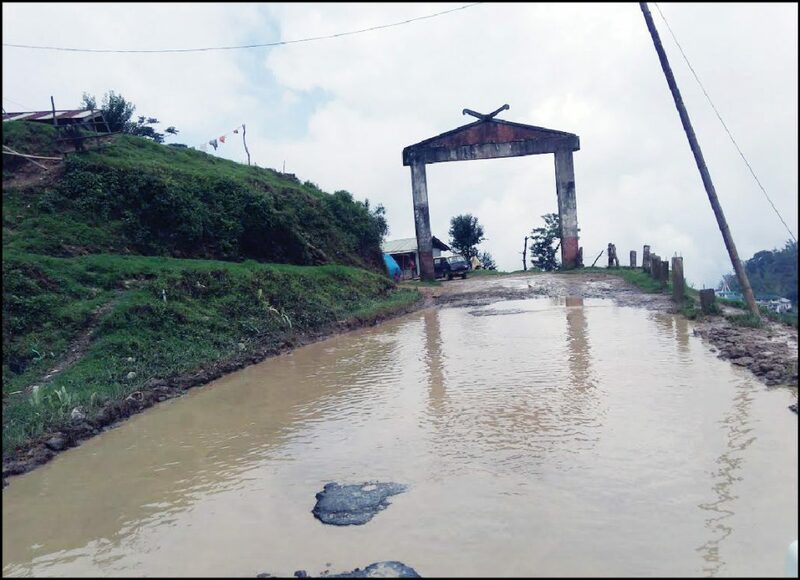 Kohima Municipal Council (KMC) administrator Kovi Meyase on Friday informed that the road leading to Lerie and Dzuruzou KMC garbage dumping site has been completely cut off at various locations owing to multiple landslides in Kohima recently. In a notification, Meyase appealed to all the citizens, business establishments and shopkeepers to cooperate in managing their waste at household level and not to throw/accumulate in any collection points both at ward and commercial areas till the restoration of road. Meanwhile, leader of Opposition in Nagaland T.R. Zeliang has informed the commissioner and secretary of Nagaland Legislative Assembly to deduct Rs 50, 000 each from the salary of 26 MLAs of the Naga Peoples’ Front and place it in the Chief Secretary’s Relief Fund for relief assistance. The move was to aid in reducing sufferings of the public caused by recent calamities and natural disasters in the state, Zeliang said.